This outstanding apartment is located in the Montsoleil area of the resort, split between two buildings (the other being the Terrasses d'Helios Apartments), the Terrasses d'Eos has been beautifully designed and built in Savoyard style using wood and stone and are surrounded by peaceful pine forests. With great facilities (the Eos has a heated outdoor pool, a spa area with sauna, steam room and jacuzzi) and lovely views from the apartments’ large picture windows, this luxury apartment is highly recommended. The ski school meets at the residence. 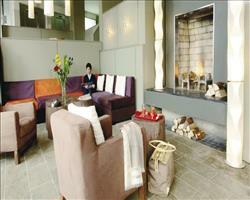 All apartments include balcony or terrace, hob, oven, dishwasher, fridge, hairdryer, satellite TV, FREE Wi-Fi and safe. We update Montsoleil Terrasses d'Eos Apartments's details often, but facilities do change. e.g. some extras listed by the supplier as "free" or included might only be for the first time you use them, or for one time per party, then charged for further use. If any specific feature is essential to your holiday, make sure you ask us to confirm the details of it before you book your holiday. 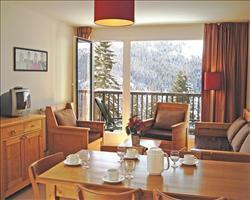 This package holiday to Montsoleil Terrasses d'Eos Apartments in Flaine, France departs Saturday 21st March 2020, for a 7 night stay on a "self catering" board basis. A local tourist tax (Taxe de Sejour or Kurtaxe) is levied by many councils in European ski resorts. It varies by standard and type of accommodation and is age dependent, so not everyone is charged. It's not included in the basic price of your holiday and is usually paid locally. For reference, the average charged in winter 15/16 was between 50p and £2 per person, per night. Part of the Grand Massif and fondly known as the “big snowy bowl”, Flaine was purposely plonked on the mountain for direct access to some of the greatest terrain around. While the village may not be brimming with Gallic charm, the skiing and facilities more than make up for it, a place much loved by powder hounds and families alike. Flaine lift pass price last reported as € 216 (adult 6 day). Ask for a quote when booking Montsoleil Terrasses d'Eos Apartments. Flaine has N, E, S facing slopes. Flaine Apartments Flaine France, Dover Ferry 21st March. 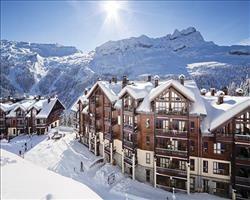 Panoramic Apartments Flaine France, Dover Ferry 21st March. Residence De La F... Flaine France, Dover Ferry 21st March. Montsoleil Terras... Flaine France, Dover Ferry 21st March. Le Centaure Apart... Flaine France, Dover Ferry 21st March. The apartments were beautiful! When we arrived and checked in, the lady helping us asked if we would like to upgrade to a 3 bed, 3 bathroom apartment for another 200 euros. We said yes and it was fabulous, but even if we hadn’t have upgraded we’d have ended up with a similar apartment to my friends which was also fantastic. We all ended up in 2 apartments that had interlinking doors, in effect we had the whole side of the building, with a balcony looking out the back and another on the front facing the slopes. The apartments are cosy, comfortable and warm with all you needed in the kitchen. With children (and 2 injuries by the end of the week) the location was fine, we could go straight out and across the road, jump on the bus and be on the slopes in minutes, the bus service was fantastic. Everyone was using the pool and spa facilities and really enjoyed them. 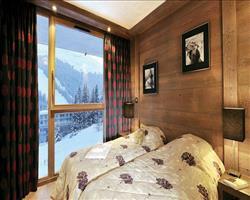 "Well maintained, easy to ski to, great for families"
We loved our apartment and the room was really nice. We did use the pool every day, but being outside it wasn’t quite as user friendly as before when we had an indoor pool. What we did have here was more amenities like the bar and restaurant which was nice. It was great being able to ski in and out, although it was a bit tricky with my little boy. We drove to Flaine, and if you’re driving, the apartments are one of the first places you get to, just before the main bit of Flaine. Parking was easy too. "Could be better but probably the best out there"
Our apartment was very nice, the rooms, bathroom and kitchen were fine but if I’m honest it was small... we had four of us in a two bedroom one and I definitely wouldn’t recommend for four people to stay in a one room apartment. You had to get on the bus to get to the slopes but it only took five minutes and the bus stop was right outside. The apartments have their own locker room but there is actually a locker place down at the bottom if you didn’t want to take your skis on the bus every day. 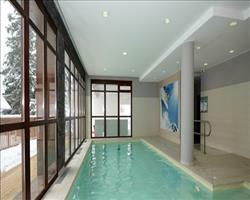 You’ve got access to a nice hot tub, sauna and an outdoor pool. There’s a Spar shop which you can go to on the bus and they will deliver back to your apartments (although we didn’t use this service).